Our March speaker needs no introduction to most San Diego-area gardeners. With 25 years as owner and operator of Solana Succulents, a large portfolio of designed gardens, and now three published books, Jeff Moore is an authority on succulents and will showcase these fascinating plants in his presentation. 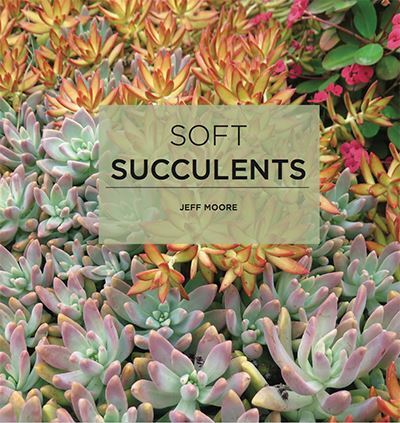 In addition, he will share photos and topics covered in his newly published book, Soft Succulents. Focusing primarily on genus’ such as aeoniums, echeverias, crassulas, sedums, dudleyas and other softer non-spiny succulents, Jeff's latest book highlights the plants themselves along with information and pictures of them in their native habitats. His talk will go into more detail on these plants in cultivation, some common, some not often seen, but all guaranteed to intrigue and inspire us with amazing colors and textures. We have organized a Succulent Plant & Pottery Marketplace for this meeting, where attendees can pick up plants and pottery at competitive prices, and will also have a reception with special refreshments and libations. Doors open at 5:30 PM.